We are a professional supplier for various kinds of granite tile and slab products.Zhonglei Red is one of the popular Red Granite, which is famous for good outlook and reliability. Finished: Polished, Flamed, Natural Split, Bushhammered. Please note that these are average samples only.Due to granite being a natural material, rough block, slabes, titles andmonuments are all liable to vary in coulour and veining, therefore absolute resembalance cannot be guaranteed. 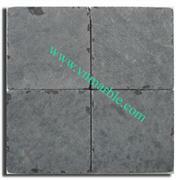 We are leading manufacturer, owner quarry marble in Vietnam with best quality.